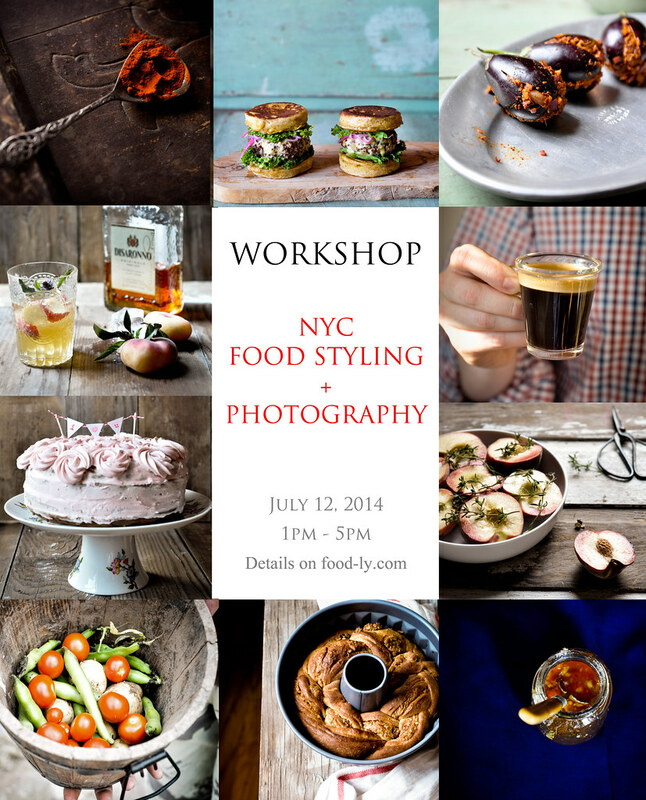 After that tease last week, here are the full details on the upcoming Food Styling and Photography Workshop! It will be a half day focus on understanding the elements of food photography with assignments to work on technique as well developing your own style signature. You will learn about the following topics through hands on instruction as well as in-class practice assignments and take home work (optional) that help you find your creative angle. You will understand various camera settings and how they respond to different shooting conditions, manage changing light through the day, as well as get tips on how to work the light you have. Getting the right shot involves making the connection between colors, textures, mood, story and perception. We will play with subjects under different settings to develop an intuitive relation with how the elements interact with each other in our eyes as well as through the lens. Food photography needs some props but we will learn what are the basics you need and how to maximize your available resources without spending too much on gadgets, lenses, props. Monochrome subjects can be challenging to photograph. We will work on external elements that can be used to prop up and define the subject to make it visually distinct and alluring. 5. Evaluation, Collaborative critique on assignments and Q&A. Plus, take away assignment that you can send in for follow up feedback. Finally, we close with tea, cake and some bubbly to celebrate a good day's work and learning!